Twenty four sleeps till Santa and the Advent Calendar special offers have started today! The first deal available on all regions is the Tier VII Soviet heavy tank IS-2M, but he isn’t alone. Together with Premium Account Time and Gold, this Soviet heavy beast price will be discounted by 20%, not a great save, but might be worth for you. 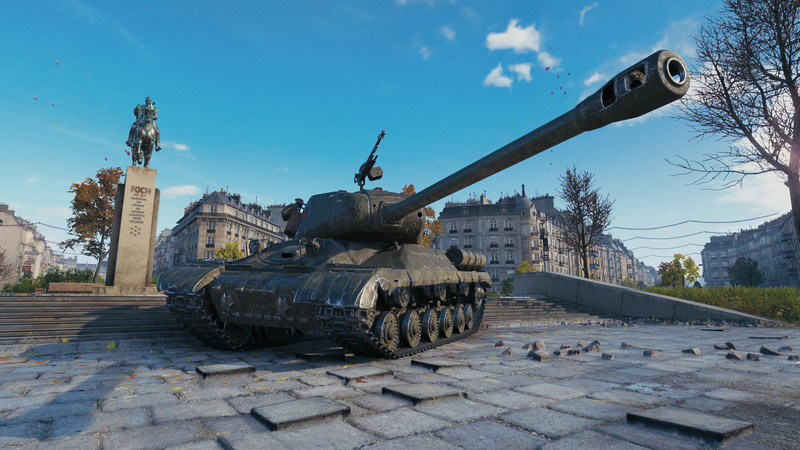 The deal is only available in your World of Tanks region portal, but if you just want the tank, its available in the game store for 6,400 Gold. Receive the Bruiser award: Damage enemy vehicles modules or injure crew members at least five times in a battle. *Article updated at 16:00 GMT with more details. IS-2M comes with a 100% crew. In the previous Advent calendars WG sold the IS-Berlin with a super crew. Is this the same tank but without the super crew? Nope, different tank. Performance wise, they are almost identical. IS-2 is slightly more mobile, IS-2M is slightly more accurate. The biggest difference is probably their armor. IS-2M has spaced armor on the flanks underneath the turret and a higher ammo count (35 vs 28). in the SEA server we can buy this thing with 6,400 gold!